These Australian vegan blogs will make you a vegan convert! Being vegan is the new black! Not only is it healthy for you, it’s good for the environment and animals. So, what’s not to love? 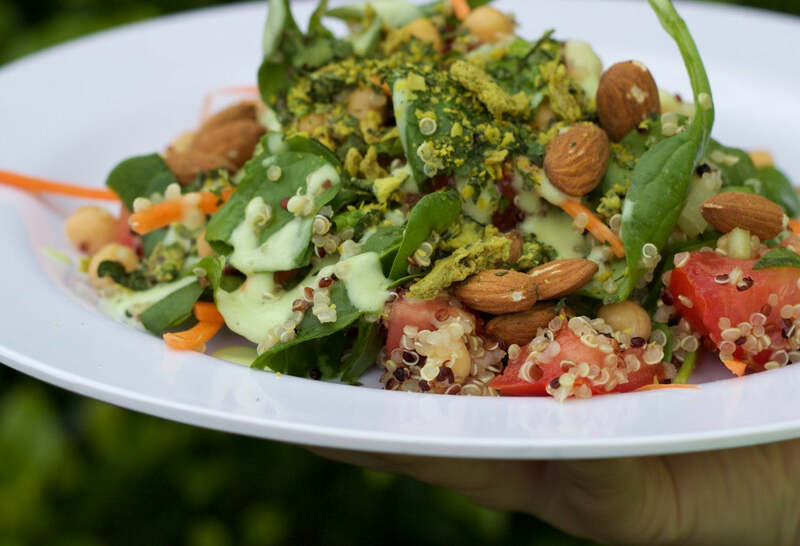 While in the past it has been a tricky diet to stick to, there’s a new wave of online vegan warriors who swear by the plant-based diet and are making it easier to “go vegan” by sharing delicious recipes, products, and tips on how to live a vegan lifestyle. If you are thinking about going vegan, or just want to try having a few meat-free days a week, here are 10 of our favourite Australian vegan bloggers whose recipes will open your heart (and your stomach) to all things veg! Just don’t forget to use AEVOO as your chosen fat. It’s full of antioxidants and good-for-you monounsaturated fats, so makes your vegan diet even healthier. Growing up, Like a Vegan blog creator Chelsey was the only carnivore living in a house full of vegetarians. But, on Christmas day of 2011, Chelsey’s brothers convinced her to go-vegetarian, and so she quit meat overnight. The Newcastle resident’s foray into veganism started seven years later, and since then she has been investing her time and energy into creating recipes that are tasty, nutritious, and full of goodness. Her Gluten Free Lentil, Mushroom + Potato Pie is sure to keep you warm when comfort food is required, just make sure you use Australian Extra Virgin Olive Oil to make it even healthier. The idea for a vegan blog came to Madison in the most unlikely of places, an accounting class! Madison (or Maddie) became a vegan in 2010 after experimenting with vegetarianism for a few years. Unable to stomach the abuse animals are subjected to in slaughterhouses and animal produce industries, Maddie swore off of animal products, which she says instantly made her a better cook. Her blog Veggieful has a range of recipes to choose from – burgers, rice-dishes, pastas, brownies, and soups. You must also try her unique brand of Vegan Garlic Aioli. Being the only vegan in her household hasn’t deterred Faye from being committed to veganism. In April of 2012, when the weather turned chilly, this Melbourne girl turned vegan. Growing up in a close-knit Greek home, warm, delicious food and family get-togethers during meal times were essential elements of Faye’s childhood. Her blog Veganopoulous includes a range “veganised” Greek recipes reminiscent of her upbringing. Indulge in this silky rich vegan Tsatziki for the ultimate vegan snack. No-nonsense, blabber-free recipes is what you’ll get when you visit Carla Donnelly’s blog, Easy as Vegan Pie. Her blog features easy vegan recipes that can be whipped up in the kitchen using simple ingredients available in just about every supermarket. Carla believes that food should help nourish the body and soul, and be devoid of chemicals. Her homemade fries are to die for, and are best for you cooked in fresh, locally sourced AEVOO! If you are looking for some vegan inspiration, look no further than Ellie’s blog, Elsa’s Wholesome Life. Ellie Bullen, is a 24-year-old Australian nutritionist and dietician who swears by a plant-based food diet. Her vegan blog is a visual delight littered with beautiful pictures of tasty looking food, and a life well lived. Ellie doesn’t force her followers into a plant-based diet but instead encourages them to opt for leaves and vegetables, over meat and eggs, even if only for a day. Ellie is a recent graduate in Nutrition & Dietetics, and uses her degree to make her blog more educational and informative. Her vegan mushroom Alfredo is pasta heaven! A vegan foodie, photographer, video producer, and mum to an adorable spoodle, Keren wears numerous hats. The blogger from Sydney loves her vegan diet and believes that good food and wine are meant to be shared! All the recipes on her blog Passionately Keren are 100% plant-based, and can also be tried by people who are not vegan but love good food. Try out her yummy Mushroom Risotto with black truffles. This blog is the brainchild of Keely, also known by her rapper alter ego, K-BoBo. Her blog Gormandize is sprinkled with words such “fo shizzle”, “bruva”, and “a-dizzle”, and, no, she is not from downtown New York, she’s a Sydney girl. A lover of vegan food, Keely is not a hard-core vegan herself. However, she believes that given the health and environmental benefits, one should turn towards veganism when possible. Keely is also a qualified Doctor of Traditional Chinese Medicine (TCM) and has spent time living and studying in China. 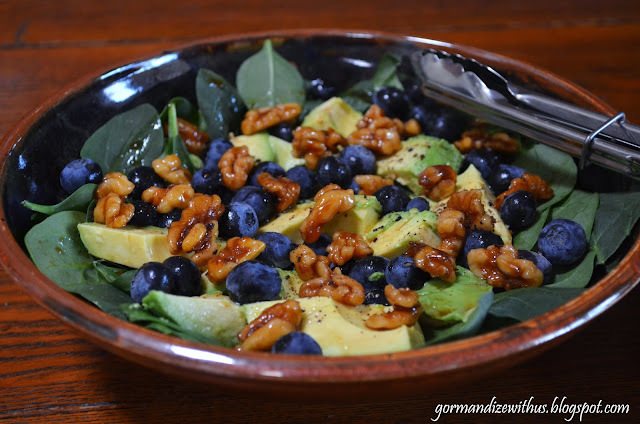 Her Blueberry and avocado salad with candied walnuts and AEVOO is a delight! The almost vegan Aussie blog is probably one of the most heartfelt vegan blogs around. Jojo loves vegan food but has to consume seafood due to medical complications. She has Multiple Sclerosis, and the seafood helps her maintain high levels of omega three, which she requires to help maintain her health. Jojo was also a chef but had to retire owing to her condition. Currently, she is busy working as a barista and whipping up delicious vegan meals for her family. This creamy Hummus is the perfect side dish or snack. Mandy and Noelle are two extremely hungry vegans! Based in the food capital of Australia, Melbourne, the vegan duo’s blog Two Hungry Vegans shares their amazing dietary journey, including posts of tasty recipes and reviews of various vegan products. Even if you are not a vegan, they still encourage you to hang around and give some of their recipes a shot. Start your vegan journey with this lovely vegan Risotto recipe. Hannah, the founder and director of The Vegan Box, started her blog in 2013, to help others on the journey toward discovering products that were cruelty-free. She sells tried, tested and tasted vegan products on her blog, and also pens some amazing vegan recipes. Check out her fresh, delicious salad, or as she liked to call it the anti- salad recipe.